It’s back and better than ever. 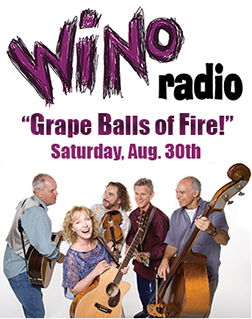 An original variety show with great blue grass music by the amazing Susie Glaze and the HiLonesome Band, comedy skits, games, prizes – good old-fashioned fun – with a twist. Includes Grape Reception and a Harvest Dinner. Join us for the best time you’ll have had in a long while. $55, $45 for wine club members. You are currently browsing the Bedford Winery blog archives for August, 2014.